Lynne Wilson-Gault has been with Huber Decor for 25 years. Lynne has served in a variety of roles within the company, ultimately attaining her current position. Lynne graduated from the University of Kentucky with a Bachelor of Arts Degree with an emphasis in photography and ceramics. 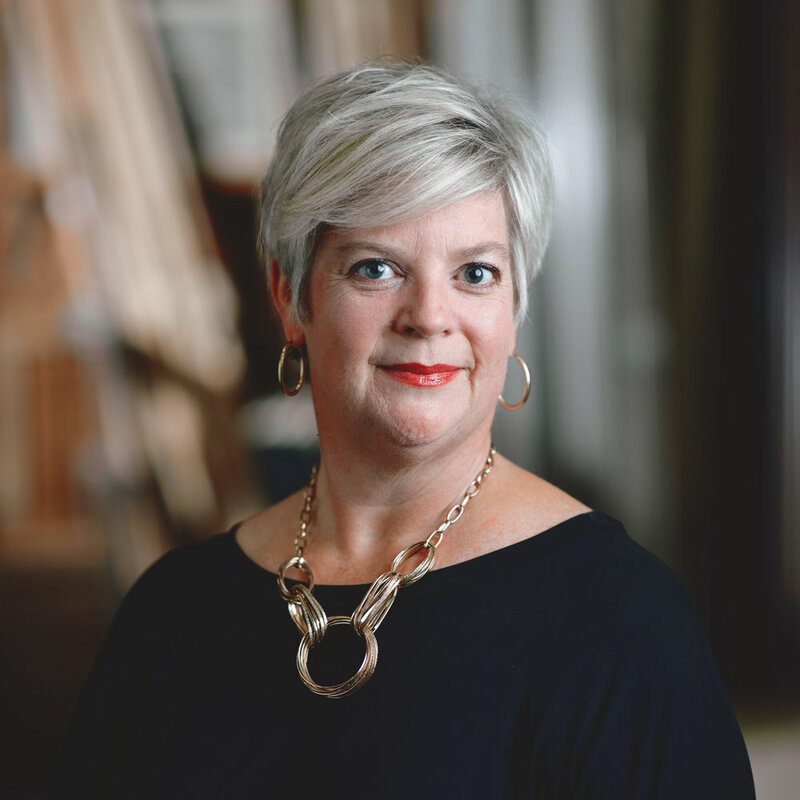 Lynne is a gifted designer and lends her keen sense of color, balance, scale and overall aesthetics to everything from collateral to event design. She and her husband have a “firecracker” of a daughter and a darling miniature Schnauzer. Lynne enjoys spending time with her family, especially riding American Saddlebred Horses, and teaching her daughter to ride. She also enjoys using her creativity in all types of crafting.